The most memorable part of a Petal Pushers bouquet: the delivery method. Since opening in 2016, Deep Ellum’s Jade & Clover has never once apologized for being the complete boutiquification of the “Good Vibes Only” mantra—what with its boho blouses, weekend rap yoga, disco-ball tumblers, rosé-hued pot pipes, and most notably, a succulent bar where one may arrange cacti and miniature poodle figurines in a bed of hot pink sand. I have heard some drop the B-bomb in reference to the shop (ya know, “basic”); I call it infectiously fun. 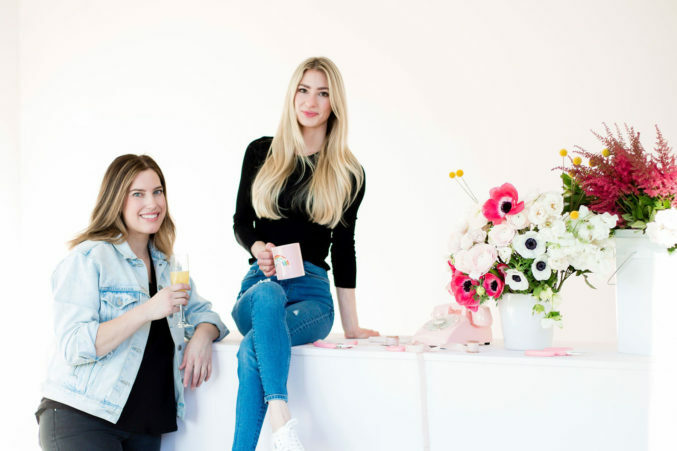 And now, Jade & Clover owner Giselle Ruggeburg and the gal she enlisted to run the shop’s traveling terrarium bar, Ali Pickens, have teamed up to open a new, and deeply millennial, floral concept called Petal Pushers. Petal Pushers owners Giselle Ruggeburg and Ali Pickens. But even more memorable than the arrangements may be the delivery method: the shop employs a fleet of pink Stella scooters, all driven by young men who just happen to be ridiculously good-looking. Now, you can’t tell me millennials don’t have some brilliant ideas.